Tennis specialist Craig Vickers (@craigvickers_) previews day seven of the men’s Australian Open and provides us with his best bets. 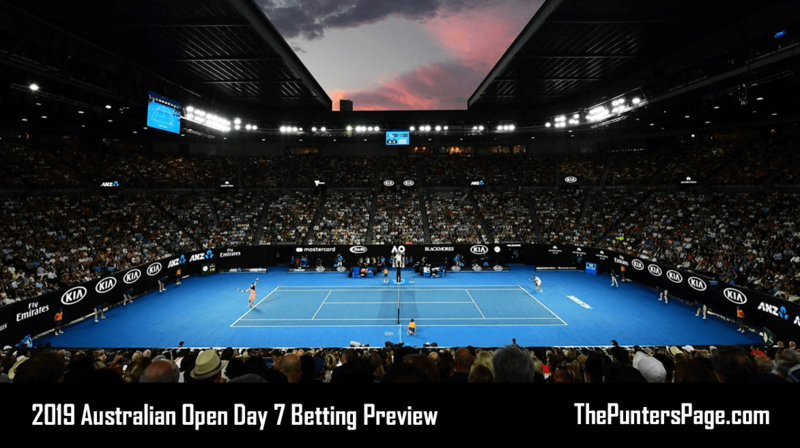 Sunday marks day seven at the 2019 Australian Open as value becomes more difficult to find as we move into the fourth round of action. We are still waiting for our first winning double of the tournament, but we did land a 11/10 winner when Pablo Carreno-Busta defeated Fabio Fognini in four sets. Alexei Popyrin, unfortunately, could not edge past Lucas Pouille in the first set tie-break, but perhaps on a different day our luck might have been in considering he took the third set tie-break 11-9. Moving on, however, and the fourth round commences with Rafael Nadal facing the resurgent Tomas Berdych. Roger Federer, meanwhile, clashes with 20-year-old Stefanos Tsitsipas on the Rod Laver Arena night session. 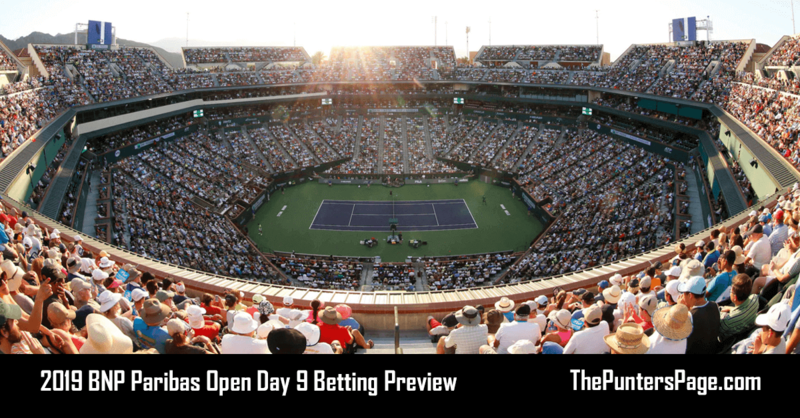 There are still two other clashes to keep our eyes on, and it is Marin Cilic’s clash with Roberto Bautista-Agut on Margaret Court Arena at around 6AM GMT which looks promising. Last year’s finalist survived an almighty scare in the third round, staring at the exit door as Fernando Verdasco motored into a two-set lead. However, he roused himself to save two match points in the fourth set to prevail in a decider and his Melbourne journey goes on. Bautista-Agut would have been licking his lips as the Croatian toiled having dispatched Karen Khachanov in straight sets earlier in the day. The Spaniard was stretched to the physical limit in the first two rounds, but he answered a few doubters by closing out his match with the Russian in straight sets – something which evaded him in the rounds one and two. Bautista-Agut has never qualified for the quarter-final of a major but his flat-hitting game style – much like Verdasco’s reckless abandon off the forehand wing – will unease the fragile Croatian. Bautista-Agut to win is 11/10. Elsewhere, Grigor Dimitrov meets Frances Tiafoe on Melbourne Arena at around 2AM GMT as the American enjoys the best Grand Slam of his fledgling career to date. The same cannot be said of the Bulgarian, who has reached at least the quarter-final in Melbourne in his last two visits (semi-final in 2017), and we can expect Tiafoe to at the very least keep their contest close. We were unfortunate earlier this week when Pablo Cuevas came within a game of covering the +6.5 game handicap against Dimitrov and likewise in his third round match the difference in games between himself and 102nd ranked Thomas Fabbiano was only five games (7-6, 6-4, 6-4). Tiafoe has traditionally struggled to back up memorable victories at Grand Slam level, but he battled ferociously to build on his win over Kevin Anderson in the second round by ousting Andreas Seppi from two sets to one down. Kyle Edmund sprung a similar surprise on the Bulgarian twelve months ago in the quarter-final stage, hence Tiafoe +4.5 games at 4/5 is the pick. Rafael Nadal pulverised Alex De Minaur in the previous round and he faces Tomas Berdych, who sent him packing in Melbourne in 2015, at 3:30AM GMT. The Spaniard looks in fine health, which has been his biggest obstacle at the Australian Open in recent years, and he should take care of an opponent he has beaten 19 times in his career. 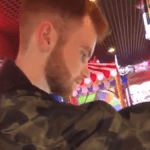 Meanwhile, Roger Federer has never met the 20-year-old Stefanos Tsitsipas in his career and parallels have already started to be drawn with the Swiss’ statement victory over Pete Sampras in the fourth round of Wimbledon in 2001. However, the 37-year-old has stared down young up-and-comers before in his career and it seems too much of an ask for the Greek to beat Federer over the best-of-five in these conditions, although he is more than capable of keeping it close. Tsitsipas +5.5 games is available at 10/11.